Chances are that if you don't play Minecraft yourself, you've probably at least heard of it or know someone who does. The charming indie game has invaded nearly every facet of pop culture, casting its blocky spell on everything from Legos to feature films and has even been used for tourism. With over 54 million copies sold, Sweden-based developer Mojang made $128 million last year largely thanks to Minecraft and has become one of the most successful game studios in the world. But what actually is Minecraft? We're glad you asked! At its core, Minecraft is a massive, open-ended, first-person game with a focus on exploration and crafting. Every time you load a new game, the environment is randomly assembled so no two plays will be exactly alike. Unlike most games, Minecraft offers little in the way of directions, or a campaign/story mode to work through for that matter: It's a free-form, easygoing affair with the player figuring out what they can and can't do through trial and error (or by scouring a wiki). Think something like Grand Theft Auto's gigantic environment, but instead of attempting a hyper-realistic world, everything is pixelated blocks. Objects in the world are made of gravity-defying, 1 x 1 blocks that can be stacked and manipulated to form just about anything one could imagine, from intricate recreations of Game of Thrones' Westeros, to movie posters, and even Game Boy emulators capable of playing the first level from Super Mario Land. Hell, the Danish government has servers running so would-be tourists can check out a 1:1 recreation of the happiest country replete with highways, houses and landmarks. That's just the tip of the iceberg, though, and we're sure there are at least a few crazy projects going right now that we don't even know about. There's no score, and no real "end" (though that's up for debate, and we'd be spoiling bits if we got into the argument too deeply here). In the game's main mode, you start in a world full of resources (rock, wood, etc.) and are "tasked" with making a life for your character (who's named Steve). A day/night cycle provides constraints: use the daylight to gather resources and build, with the intent of surviving the night. Zombie-like creatures roam the land at night, and the only way to survive is by building housing to keep them out. 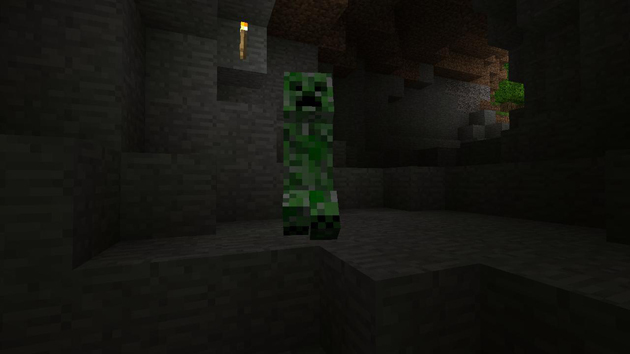 Should that not provide enough challenge, a green enemy lovingly named the "creeper" lives primarily underground, where you mine for resources. Enter the wrong mining cavern and you may end up suddenly exploded. Any resources you've got on your person remain where you died until you can go retrieve them. It's a delight! The game is available on just about every platform: Android, iOS, Mac, PC, PlayStation 3 and Xbox 360, with updated versions coming to the PS Vita, PlayStation 4 and Xbox One this year. Minecraft was initially released for free as a work-in-progress back in May 2009 and developed by one person, Markus "Notch" Persson. Since then, numerous updates have been released, with the full release coming about two-and-a-half years later in November 2011. Essentially, the public was playing along as the game was being developed under its very fingertips. For starters, single-developer games are pretty rare, and ones that are this successful are even more unique. As a result, Notch has become a bit of a celebrity in the gaming community and now has some 1.7 million followers on Twitter. Minecraft's success, however, has had a price. After filing for a trademark for Mojang's follow-up, Scrolls, publisher Bethesda Softworks (known for the role-playing series The Elder Scrolls, among others), filed a trademark lawsuit over the Swedish developer using the word "scrolls." It all worked out in the end, but Mojang had to agree to not use the word in subsequent releases. 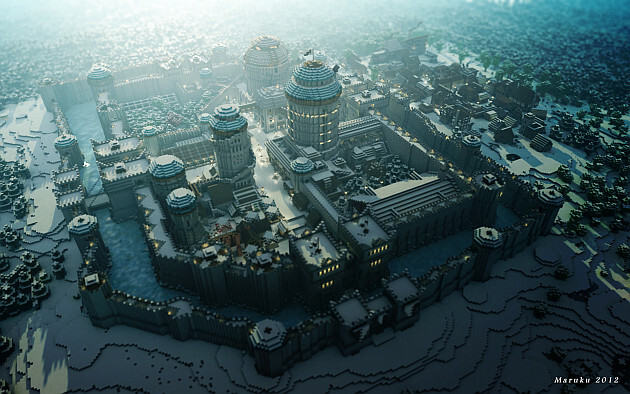 Minecraft is also the progenitor of releasing a game to players before it's done. The concept of PC-gaming platform Steam's Early Access program practically owes its existence to this, and it isn't going to stop there either. Sony has admitted that it's flirting with the idea of releasing unfinished, alpha versions of games on the PS4, too. Notch's baby has also had a tremendous impact on video games as a whole, creating an entire genre and style of play. Titles like Rust (which also happens to be a Steam Early Access title), Terraria and the upcoming PS4 stunner No Man's Sky likely wouldn't exist had Minecraft not popularized the idea of virtual free-form exploration and building. Even established franchises like Everquest have taken notice, with the next game, Landmark, taking a few pages out of Minecraft's customization and crafting book. The game is also a blank canvas that can be used for just about anything. Sure, recreations of Great Britain are impressive, but even more so is that it's been used in the classroom as a teaching tool for proper online behavior and collaborative problem-solving. 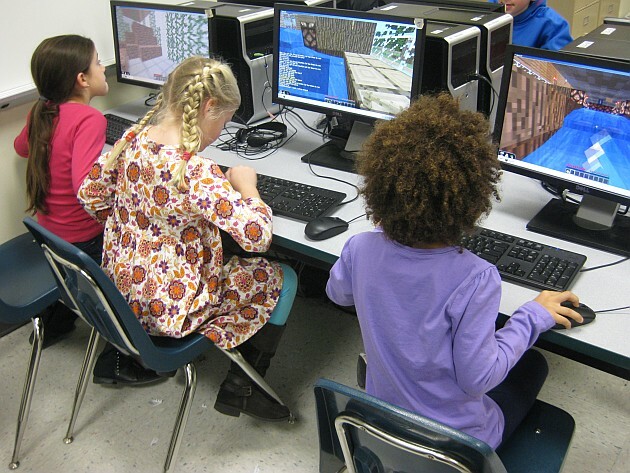 It's even been implemented to get kids interested in architecture and civics. Getting access to a game before it's fully finalized might sound like a great idea on paper, but in practice that's not always the case. There are numerous games on Steam right now under the Early Access banner that are simply unplayable. Whereas Minecraft was free to start, people are paying for these test-builds (which will convert into the full version if completed) in the hopes that eventually the full release will fix the gamut of glitches they're encountering. The thing is, that's placing an awful lot of faith in oftentimes unproven developers to finish a game; there have already been notable disasters delisted from Steam, and there will assuredly be more. If you can put the pickax down long enough, check out Rolling Stone's recent profile of Notch that chronicles the effects his youth and father's suicide had on both the way he designs games and him as a person. Should you want even deeper inside the man's head, Persson also maintains a personal blog. Still not satisfied? How about booking travel to Europe for this year's Minecon convention? Better gear up with a Creeper mask and foam diamond-sword ahead of time, though. Or, maybe you haven't played the game just yet and all of this has gotten you curious to try it out. Well, there's a super-limited free demo that should give you an idea of what it's all about before you buy the real deal.